How Are Ski Helmets Tested? SHRED co-founder and self confessed product geek, Carlo Salmini explains the testing and development that goes into helmet production, ensuring your safety on the slopes. 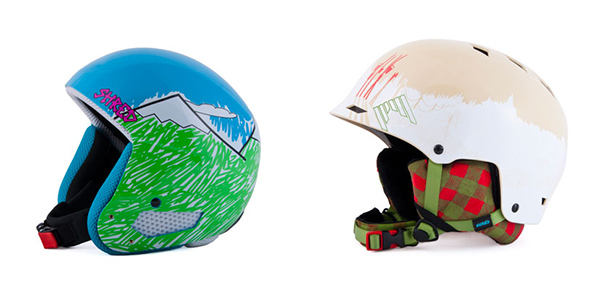 What's The Difference Between A Ski, Cycling & Skateboarding Helmet? "We've seen people hit themselves with their skis or snowboard on more than one occasion"
Ski helmets are generally designed to keep your head warm and to minimize the effect of impact against all possible hard objects a skier or snowboarder may run in to, be it ice, trees, rocks, fences, other people or even their own gear (we've all seen people hit themselves with their skis or snowboard, boots, bindings and poles on more than one occasion). To keep the head warm on snowy and cold days and ventilated in spring days some helmets have internal liner folds, like our SHRED Half Brain, that can be placed in two positions, one that caps top vents and one that lets fresh air enter the space between the helmet and the head and to flow out once warmed up. 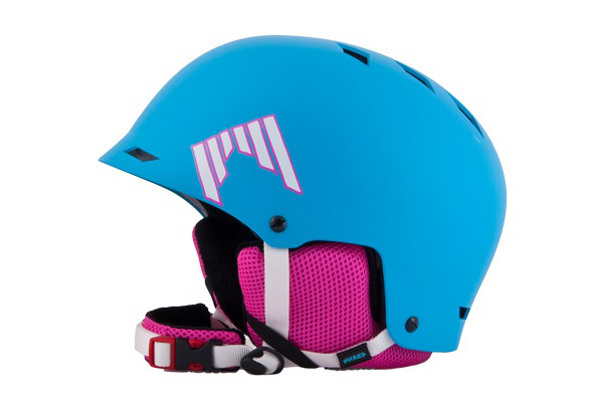 Snow helmets are also designed to protect against the penetration of sharp objects, so generally have smaller opening vents than compared to those for cycling or skateboarding. Other specifically designed features of ski helmets are the goggle strap holder and earpads / neckwarmer, designed to keep the wearer warm. After keeping winter sports athletes safe and stylish for the past few years, SHRED are now launching a bike line for Spring 2014 so we've actually been doing a lot of research across other sports to make sure our helmets meet the varying standards of the bike market, creating helmets for BMX, mountain bike and downhill mountain bike, each with different features and functions to complement the individual sport. Are Helmets For Skiing & Snowboarding Different? Snowboarders and skiers are presented with two helmet options: half ear helmets that are the main choice of snowboarders, freeskiers, backcountry and terrain park riders; and full ear helmets that are the choice of resort skiers and alpine racers which are required by the International Ski Federation for racers, as they need extra protection of the ears at high speeds. At SHRED, our range features both half ear helmets and full ear helmets, that are approved for use in International Ski Federation sanctioned speed events. How Do You Design A Helmet? "In designing a helmet, we analyse impact energy absorption behaviours of different materials and do extensive analysis of the anatomy of the head in order to minimise the effects of an impact"
Designing a helmet requires many years of research, development and study. We analyse impact energy absorption behaviours of different materials and research a multitude of technologically innovative structural solutions to minimise the effects of an impact and do extensive analysis of the anatomy of the head. In addition to this research activity we have what we call a core model development cycle which takes us from the initial concept of a new helmet shape, along with the ideas of our athletes and engineers to the final approved sample that precedes the final production of our helmets a cycle which usually takes 18 months, depending on the complexity of the project. A revolutionary new helmet that we'll be introducing in the 2014 season, featuring our latest safety technology, took 24 months to develop in total - but the time is more than worth it, as our athletes and customers safety is paramount to everything we do. As a truly athlete born company, our team shredders are central not only in the development but in the testing process too. 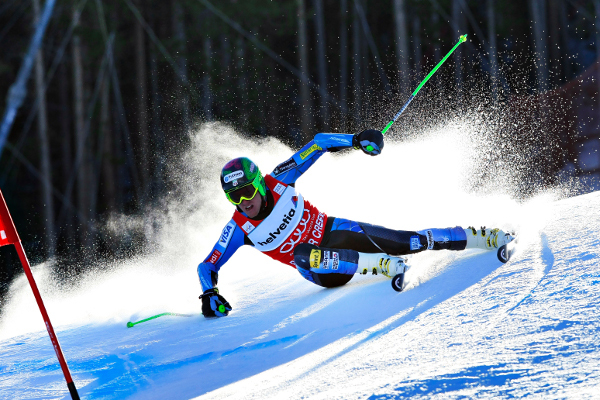 Ted Ligety - Olympic Ski Champion and Co-founder of SHRED. Helmets are tested by athletes. Are There Different Safety Standards? Unfortunately, there are no global standards in snow helmet safety. The most recognised and respected standards are EN1077A (for full ear helmets) and EN1077B (for half ear helmets) in Europe and ASTMF2040 that is a North American standard. They differ in many ways, from the impact testing points along the surface of the helmet, to the testing device and to the impact absorption requirements. What You Should Look For When Buying A Helmet? "If the helmet passes both standards, the level of safety is much higher than a helmet that only passes one"
The best way is to choose a helmet that satisfies both standards EN1077 (A or B) and ASTMF2040. It is very challenging for a helmet to pass the tests under both standards simultaneously, so if it does, the level of safety is much higher than that of a helmet that only passes one. At SHRED we pride ourselves as being one of very few companies that are able to bring helmets to the market that satisfy both standards. SHRED and sister company SLYTECH, together form Anomaly Action Sports, a company co-founded by Olympic Ski Champion Ted Ligety, alongside partner Carlo Salmini. The brands deliver extreme performance and protection in the toughest range of conditions. Based around their love for all forms of shredding, the company's ethos is about un-limiting an athlete's pursuit of fun through technological advances in engineering.